Martin Wilson is a native of Macon, Georgia and has been practicing in Middle Georgia since 1991. 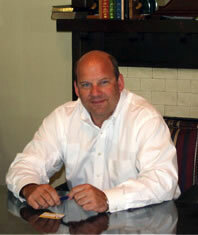 His primary focus is Real Estate Closings and he has handled over an estimated 9,000 closings during his career. His practice now also includes the formation of LLCs and Corporations, Drafting of Wills and other related documents, Probate and Administration of Wills and Estates, Personal Injury, and Wrongful Death cases. Former Board of Vine Ingle Little League and Campus Clubs, Inc.